Gargash Enterprises introduces the ‘She's Mercedes' Hub in Dubai: a platform empowering UAE talent. 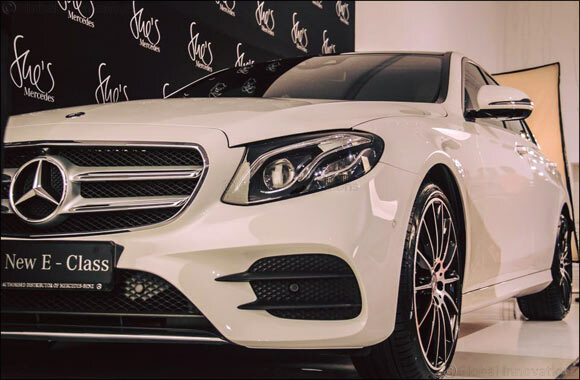 Dubai, UAE, June 16, 2016: Artistic, inspiring and impressively modern, the first-ever ‘She’s Mercedes’ event in the region was hosted by Gargash Enterprises at the Leila Heller Gallery on Saturday June 4th, devoted to encourage, connect and empower local women to unleash their best. Bringing together various communities of professionals, She’s Mercedes celebrates exceptional personalities who share exclusive insights and pioneer pushing the boundaries. Latest collections of ladies handbags, kaftans, jewellery and intriguing summer accessories, artistically designed by brands such as ESSA, HAGAR & INDIA, HANAH Dubai, and S*UCE were exhibited at the event.